Jane Eyre (originally published as Jane Eyre: An Autobiography) is a novel by English writer Charlotte Bront . It was published on 16 October 1847 by Smith, Elder & Co. of London, England, under the pen name "Currer Bell." The first American edition was released the following year by Harper & Brothers of New York. Primarily of the bildungsroman genre, Jane Eyre follows the emotions and experiences of its eponymous character, including her growth to adulthood, and her love for Mr. Rochester, the byronic master of fictitious Thornfield Hall. In its internalisation of the action - the focus is on the gradual unfolding of Jane's moral and spiritual sensibility and all the events are coloured by a heightened intensity that was previously the domain of poetry - the novel revolutionised the art of fiction. Charlotte Bront has been called the 'first historian of the private consciousness' and the literary ancestor of writers like Joyce and Proust. The novel contains elements of social criticism, with a strong sense of morality at its core, but is nonetheless a novel many consider ahead of its time given the individualistic character of Jane and the novel's exploration of classism, sexuality, religion, and proto-feminism. According to a review of Jane Eyre in The Quarterly Review, it was found to be "pre-eminently an anti-Christian composition." Although Bront clearly intended for the book to be a protest against Victorian lifestyle, which caused a great unrest with the Quarterly Review, they found Jane Eyre to be more radical than its original intent: "We do not hesitate to say that the tone of mind and thought which has overthrown authority and violated every code human and divine abroad, and fostered Chartism and rebellion at home, is the same which has also written Jane Eyre." 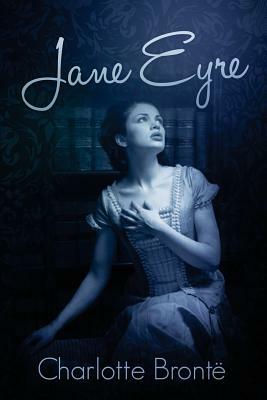 Although Jane Eyre is now commonly accepted into the canon of high-school English literature, its immediate reception was in stark contrast to its modern-day reception. Charlotte Bronte (21 April 1816 - 31 March 1855) was an English novelist and poet, the eldest of the three Bronte sisters who survived into adulthood and whose novels are English literature standards. She wrote Jane Eyre under the pen name Currer Bell.